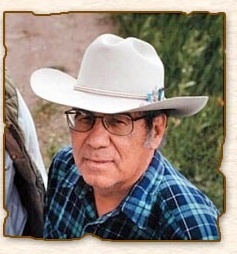 See Updated Version of Blackfeet Lesson Here. 1. In your own words, explain the meaning of the statement from Chief Crowfoot. 2. After reading the history of the Blackfoot Indians, read Chief Crowfoot’s statement again, and decide if this was a truthful statement or not. Provide examples from the history reading to support your point. 1. The Blackfoot Indians, originally known as Niitsitapi, were erroneously referred to as Blackfoot. Although the tribe resides in the Great Plains of Montana and Canadian provinces of Alberta and Saskatchewan, anthropologists believe that they originated from the upper region of North America, and progressively made their way over to the Plains, where they became adapted to the land. The name Blackfoot is said to have come from the color of the moccasins they wore. The color is said to have come from dying the bottoms black. There is also the guess that they traveled through the ashes from prairie fires which turned their moccasins black. 2. The Indians relied heavily on the buffalo for food. Buffalo meat lasted a long time and could be dried and stored for the winter. This was important to the Blackfoot because the winters were long and harsh on the Plains. The buffalo also provided skins for clothing, such as robes and moccasins. The skin was also used as teepee coverings, which kept their shelters warm during the cold winter months. The soap that the Blackfoot used was made from buffalo fat. 3. The first known encounter with whites occurred in 1806, during the Lewis and Clark expedition. As the famous explorers traveled through the Missouri River area, they were confronted by Blackfoot warriors. 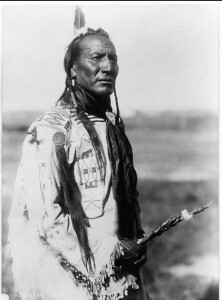 It is reported that the Blackfoot attempted to steal guns from Lewis’ men because they (the Blackfoot) knew the U.S. government traded guns with the Shoshone and the Nez Perce, tribes who were enemies of the Blackfoot. During the struggle, two warriors were killed. No more was written about this occurrence. For the next ten years the Blackfeet traded with British traders in Canada. They traded animal skins for guns and bullets. 6. 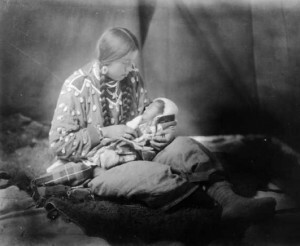 The U.S. government passed laws that produced negative effects on the Blackfoot. Laws such as changing the reservation border, which provided the Indians with less land, that they were never compensated for, and caused groups of the tribe to move to Canada. Only one group remained on the reservation in Montana. In 1898, the government dismantled tribal governments and outlawed the practice of traditional religions. Blackfoot children were forced to leave their parents and attend boarding schools, where they were forbidden to speak their native language. The children were also forced to wear non-Indian clothing as a means of assimilating them into the white American society. 7. In 1934 the Indian Reservation Act supported the rights of tribes. The act allowed tribes to choose their own government, and to openly practice their cultural traditions. In 1935 the Blackfoot Nation of Montana began their Tribal business Council and their own Constitution, under their own government. 8. 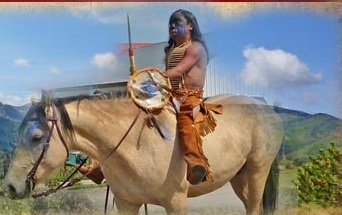 Today many Blackfoot live on reserves in Canada, and on the Montana reservation. The Blackfoot sold a large portion of their land to the U.S. thinking there was gold or copper mines, but there was no evidence of either. The land they sold became officially known as Glacier National Park. This is a high rate of unemployment on the Blackfoot Reservation. The main source of income is farming, but there aren’t enough jobs. Many Indians leave the reservation to seek work in other towns and cities. There are Blackfoot owned businesses such as the Blackfoot Writing company, and a group that makes clothing and moccasins. In 1974, they opened the Blackfoot Community College in Browning, Montana. As of 1979, the Montana state government requires all public school teachers to have background in American Indian studies. Directions: The vocabulary words in bold font are from the reading selection you’ve just finished. Find and highlight each of the following words in the paragraphs indicated in parenthesis, then infer the meanings from the context. Highlight any additional words that you aren’t familiar with and do the same with those. Check your answers with your group members, and then refer to your dictionary or thesaurus to confirm your guesses. 1. Where did the Blackfoot originate from? 2. Name three things that the Indians used the buffalo for? 3. Were the explorers Lewis and Clark looking for the Blackfoot Indians? 4. Why did the Blackfoot warriors attempt to take guns away from the men in the expedition? 5. Why didn’t the men from the Hudson Bay Company give the medicine to the Blackfoot? 6. Describe what occurred during the period known as Starvation Winter. 7. Explain why the Blackfoot children taken away from their families. Why weren’t the adults taken? 8. Provide reasons for the high unemployment rate on the Blackfoot Reservation today. Write an essay in which you express your opinion about the events leading up to the period known as the Starvation Winter. Write an essay in which you discuss the small pox epidemic and the effect it had on the Blackfoot and other tribes. One day Coyote was walking along and he was very hungry. He came to the edge of a stream and there in the water he saw some bright red berries. He dived into the water, right to the bottom of the stream, but could find no berries. As soon as he got up on the bank he waited for the water to clear. There were the berries again, right where he’d seen them the first time. He dived in again. He searched the bottom very carefully with his hands but still couldn’t find any berries! Now Coyote was angry. Another time he tried, but no luck. Finally he thought he had a way to get them. He tied rocks to his legs to make himself heavy so he would stay down longer. He jumped in and searched over the whole bottom but still could find no berries. He almost drowned before he could pull himself out on the bank where he fell down exhausted. Right there above him he saw the berries! They had only been reflections in the water! Coyote got very angry. He picked up a stick and began to beat the berry bush. Directions: Read the sentences below, then choose the correct meaning for the words in bold taken from the story you have just read. The coyote howled, then licked his paws. a. the name of a person. b. an animal resembling a dog. c. an animal similar to an elephant. a. small body of water. a. place to keep money. a. an image of one’s self. Directions: Based on the story you’ve just read, write either true or false in the spaces next to each sentence below. 1. ___Coyote wanted the berries. 2. ___Coyote tried to get apples. 3. ___Coyote dived into the stream to get the berries. 4. ___Coyote finally found the berries at the end of the story. 5. ___Coyote wanted the berries because he was hungry. 6. ___After Coyote became exhausted from diving he went home. 7. ___Once Coyote got the berries, he was very happy. 2. anthropologists- noun-a person who studies human societies and cultures and their development. 5. buffalo noun- an animal related to the cow, only bigger. 9. smallpox -noun Pathology.an acute, highly contagious, febrile disease, caused by the variola virus, and characterized by a pustular eruption that often leaves permanent pits or scars: eradicated worldwide by vaccination programs. 10. epidemic -Also, ep·i·dem·i·cal. (of a disease) affecting many persons at the same time, and spreading from person to person in a locality where the disease is not permanently prevalent. 11. treaty -noun, plural -ties.a formal agreement between two or more states in reference to peace, alliance, commerce, or other international relations. 12. dismantled- verb- to deprive or strip of apparatus, furniture, equipment, defenses, etc. : to dismantle a ship; to dismantle a fortress. 14. unemployment-nounthe state of being unemployed, especially involuntarily:without a job. anthropologists believe that they originated from the upper region of North America, and progressively made their way over to the Plains, where they became adapted to the land. No, As the famous explorers traveled through the Missouri River area, they were confronted by Blackfoot warriors. It’s reported that the Blackfoot attempted to steal guns from Lewis’ men because they (the Blackfoot) knew the U.S. government traded guns with the Shoshone and the Nez Perce, tribes who were enemies of the Blackfoot. Blackfoot children were forced to leave their parents and attend boarding schools, where they were forbidden to speak their native language. The children were also forced to wear non-Indian clothing as a means of assimilating them into the white American society.The children were young and could taught to assimilate easier than the adults. The Blackfoot sold a large portion of their land to the U.S. thinking there was gold or copper mines, but there was no evidence of either. This is a high rate of unemployment on the Blackfoot Reservation. The main source of income is farming, but there aren’t enough jobs. Place students in groups, and have them view each photo at a time. Have them think of questions they’d like to ask the person. They could also collaborate on a story about each person in the photos.